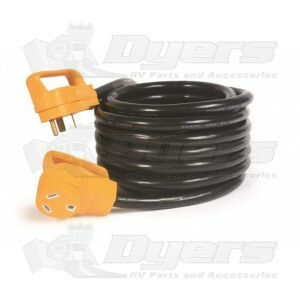 30 AMP cord featuring the patented Power Grip handles for ease of use. No more struggling to wiggle the plug loose from the park outlet! Integrated pull handles and an extension cord make electrical hook up easy.